Relo 2.0. 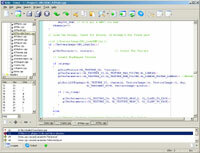 C/C++ development environment and text editor. Relo v2.0 has been released. There are a few changes since the last beta, including two major bugs. If you are currently using v2.0 beta 3 you should upgrade to this version. 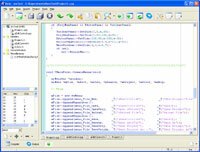 Beta 3 of Relo v2.0 has been released. This will be the last beta version preceding version 2.0. The 2.0 release should happen in about a week, with very few (if any) changes. 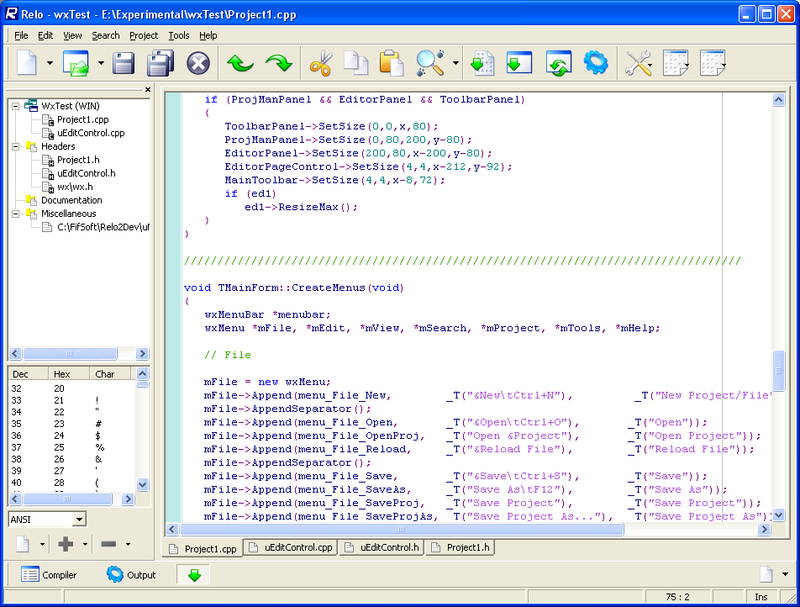 Overhaul of the project manager; it now stores file info and source/header file relationships more efficiently, and is much faster loading projects, and checking and compiling source files and building projects. ... plus a lot of other fixes and refinements. Go here to download. A beta version of Relo v2.0 is now available to download. Most changes at this stage are to the user interface, there are also a few new things. Feel free to test it out and let me know of any major bugs. 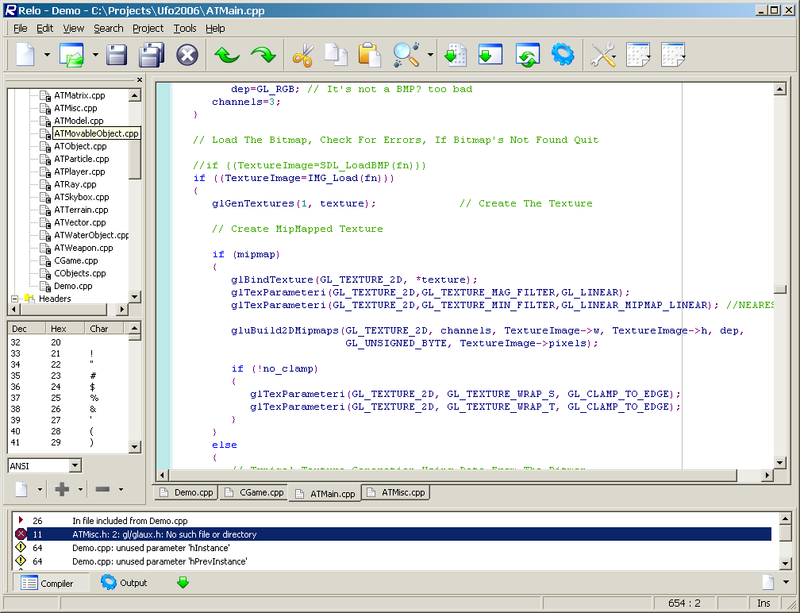 Relo is an open source C/C++ Integrated Development Environment for Windows, for MingW32 and Borland C++ compilers, designed to be highly customizable and user friendly.